A YEAR AND a half ago, Ikea became a smart home company, introducing a line of connected light bulbs to complement its lingonberries. This spring, it adds its second product category to its Home Smart lineup: a set of smart blinds, called Fyrtur, that open and close with the tap of a wireless remote or a voice command. 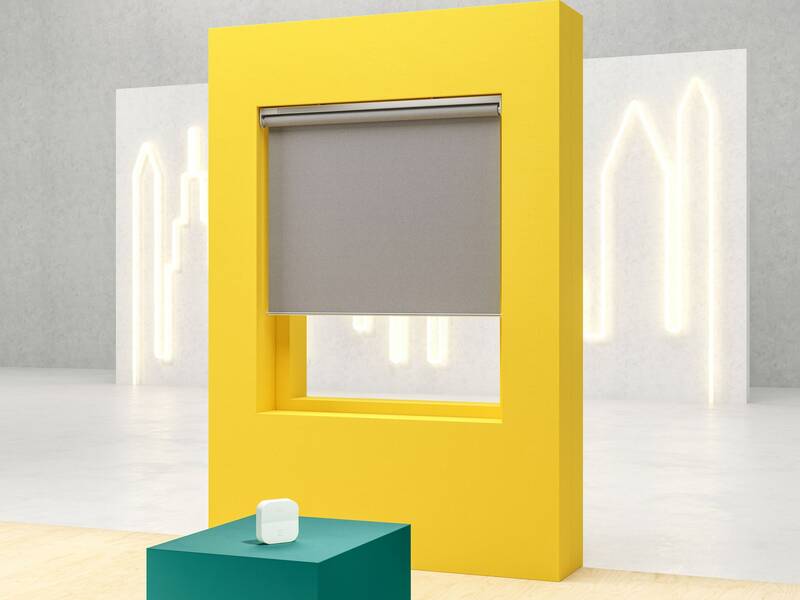 Blinds might seem an odd choice to build on Ikea’s IoT momentum. In fact, there’s no better sign that the company has a better grip on the smart home than just about anybody. Stories about the smart home tend to focus on the negative, and for good enough reason; how many other household items can be hacked by pranksters threatening nuclear war? But the problems associated with many connected devices belie that they can, in many instances, be genuinely useful. Take Ikea’s Trådfri LEDs, which focus on affordability and ease of use over flash. Or likewise its smart blinds, which exist explicitly to solve more problems than they create. For years, Ikea has made blinds without strings or cords. This is for safety reasons; cordless became the industry standard in 2018 to minimize the risk of children getting tangled in them. Expect to see Ikea build out its smart home offerings selectively, and at a deliberate pace. The Fyrtur blinds will be available in the US on April 1. (Ikea hasn’t yet disclosed pricing, but they start at around $135 in a European listing.) While they’ll arrive 20 months or so after the Trådfri bulbs, they were already in the pipeline back in 2017. But rather than rush them out, Ikea took the time to apply lessons from its initial smart home outing. While the LED line has been a success—Block says sales have exceeded expectations, both in volume and variety of items customers have picked up—it wasn’t without early stumbles. “You can never foresee what’s going to pop up in terms of bugs or hiccups or challenges along the way,” says Block. A prime example: Trådfri was supposed to launch with compatibility across Apple HomeKit, Alexa, and Google Assistant. All three work now, but that Google Assistant took longer than expected to implement. That may sound like a small annoyance, but they key to making the smart home work is to eliminate all inconveniences, or at least make sure that the benefits so strongly outweigh them that no one minds. Precious few products manage it. By keeping it simple, and building slowly, Ikea can grab more and more territory in a smart home land grab that’s still fairly wide open. The blinds will work with all three voice assistants from day one. HEY KNOW-IT-ALLS! HOW MUCH WEED SHOULD YOU TRY IF IT’S YOUR FIRST TIME? This process, too, needs fine-tuning. But Block notes that Ikea has of late worked closely with Sonos, another company that has to navigate the performance of outside partners when dealing with its customers. While most obvious result of that pairing will be Symfonisk, a line of affordable speakers that launch this August, the tie-up has offered behind the scenes benefits as well. “We’ve learned a lot from Sonos, how they’re set up in terms of helping customers when they’re dealing with network issues, or products that are related to a Sonos speaker,” says Block. “We’re not there yet as Ikea. We have a lot to learn from a company such as Sonos, the way they really solve every problem that the company has, whether it’s caused by a Sonos speaker or another product,” like a voice assistant, a shoddy Wi-Fi connection, or a glitchy streaming service. Not everyone needs smart blinds, or smart bulbs for that matter. And lots of companies have plenty of innovative connected products that aim for wholesale reinvention in a way that Ikea does not. But for simplicity, cost, and thoughtfulness, Home Smart seems harder to beat than ever.